Experiment Kraj and Pentavus Interaction? 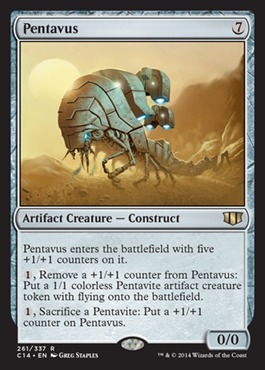 , Remove a +1/+1 counter from Pentavus: Create a 1/1 colourless Pentavite artifact creature token with flying. my only regret is that I have but one upvote to give. Goblin Warrens - sac 2, make 3? 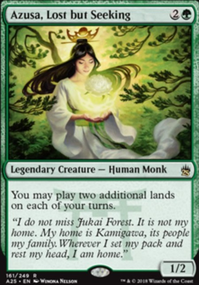 with etb triggers? seems legit. Thopter Assembly becomes stupidly good if you can get rid of thopters fast enough. Corpse Connoisseur - I go back and forth on this card a lot. Sometimes it's amazing with a recursion engine active, and sometimes it's just an Anger fetcher. Either way, I tend to stick with it cause I like it, but I could see arguments for skipping it. 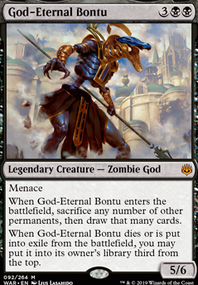 Gonti, Lord of Luxury - fun card that makes use of your opponent's decks, but isn't necessarily needed. 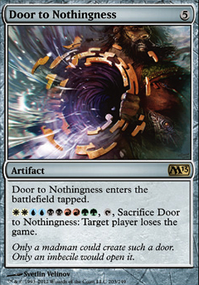 Though he can be a nice backup wincon with infinite mana and a Digger Loop. Pilgrim's Eye - one of the weaker mana ramp flips. Hope that gives you some good replacement ideas. 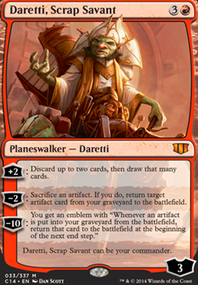 And as you mentioned, Kitesail Freebooter isn't a good replacement since you can't abuse the ETB/LTB trigger like you can with Mesmeric Fiend to permanently remove every players hand at instant speed. After some consideration, I'm pretty sure I also want to put Pentavus in the deck. It's a flippable big creature, and paying 1 for some sac fodder or some fliers just seems real good. The problem is, it doesn't fill the same role as anything else in the deck. Any idea what to replace? @apohl13, if you're playing in a multiplayer group, then you should be able to leverage the other players' threats to redirect attacks towards them. 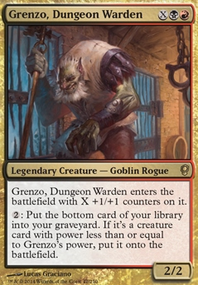 I've played against a lot of token decks, and typically I can either tutor for an answer with Goblin Matron or Moggcatcher , or I can beat them out by racing to one of my combos. Hopes that gives you some good ideas!